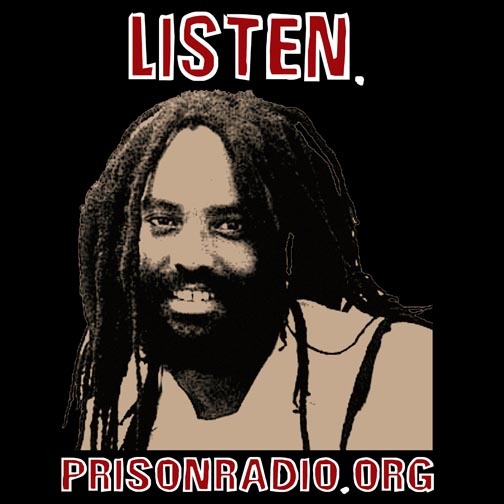 ACTION ALERT: Transfer Mumia Abu-Jamal to General Population! Last month, following the Philadelphia DA's decision to not hold a new sentencing hearing, Mumia Abu-Jamal was transferred to SCI Mahanoy, in Frackville, PA, where he as since been held in "Administrative Custody." His present conditions are actually worse than they were on death row at SCI Greene. Please join us in our call for Mumia to be immediately transferred into general population. Call Now! Shut Down Solitary Units. Close Restricted Housing Units. End Torture Blocks. Mumia is being kept in solitary in SCI Mahanoy's dungeon. Its restrictions and conditions belie its modern construction. Mumia just told us on Friday that he wants all of his supporters to broaden this call, to not just focus on his case, but to understand that all torture units must be shut down. Please write, call, and email today! The defeat for the State, having to openly declare that Mumia will live, and the fact that they can no longer legally execute Mumia, has meant a severe backlash. After his transfer off of death row, Mumia was thrown in the hole at SCI Mahanoy. The prison administration excuse that "paperwork" is holding up his transfer to general population in this medium security prison is transparent. The disinformation is part of the strategy to create confusion and disorient. Make no mistake. These conditions are clearly designed torture. They are being enacted to to silence Mumia and us. Mumia Abu-Jamal is being held in extremely repressive conditions. And like thousands of prisoners, residents of solitary confinement and isolation units in every hole in every prison across the country, Mumia is being subject to draconian, dehumanizing and brutal conditions. Solitary confinement. He is shackled whenever he is outside his cell, even to the shower. He is shackled around his ankles, waist and wrist. He is shackled while behind Plexiglas during visits. Subject to strip searches before and after visits. Unable to walk freely. Having bits of paper to write notes on, with a rubber flex pen. No shelves, 4 books. No access to news reports, letters delayed. Restricted visiting. Glaring lights on 24 hours a day. Only one brief phone call to his wife. No access to adequate food or commissary. These conditions are worse than death row. 3) Write, Phone, and email the Philadelphia DA. Demand that they petition the court to free Mumia, based on suppression of evidence. They have buried evidence and the truth for 30 years. The police corruption and the frame up of Mumia must be exposed.